Feng Shui tips using Chinese medicine. Some tips for fresh energy. 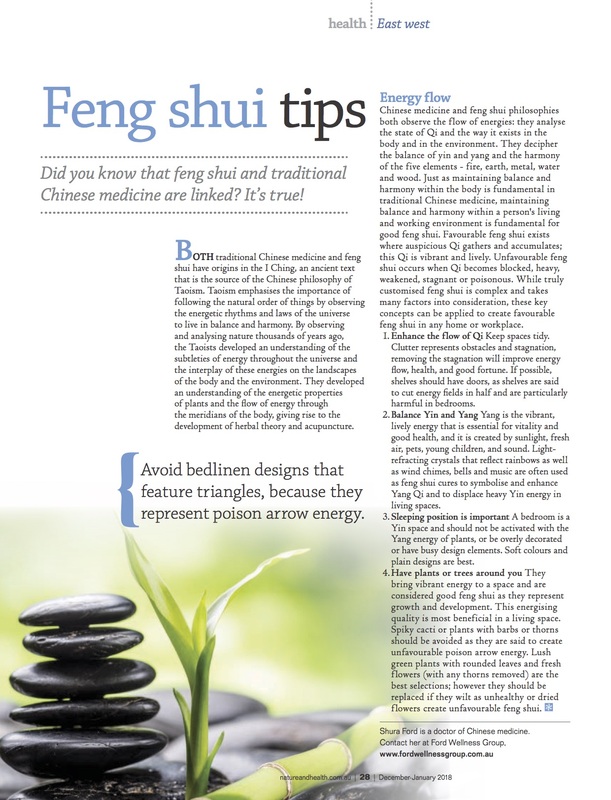 This article written by Doctor of Chinese medicine Shura Ford for Nature and health magazine explores the relationship between traditional Chinese medicine and Feng Shui with 4 tips on how how to apply favourable Feng Shui to your home or workplace. 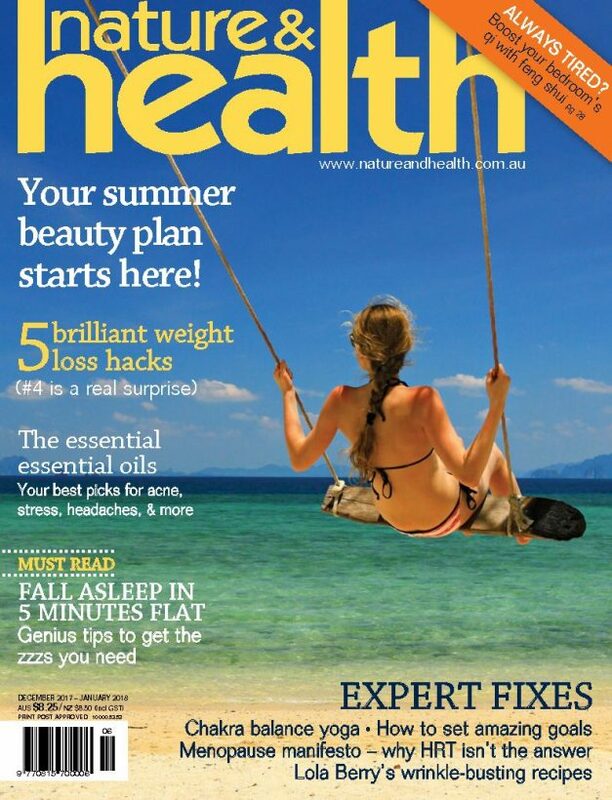 This article appeared in the December17-January18 issue of Nature & Health, Australia’s original and best natural health magazine. Read the full text here.